From stunning Emerald to Golden Ochre, the 2019 Wedding Color Trends are starting to pop up all over the internet! We’re reporting on the hottest palettes for the coming year! 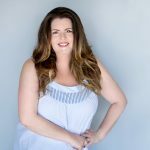 Wedding planning is happening all year for brides everywhere. Although we may have just entered the fall season, 2019 brides are already planning for their weddings. When picking out the perfect color scheme for your special day, there are a lot of things to consider – from your own personal style, to your venues’ decor and where you’re having your wedding. But, you should also consider the season! Every year, Pantone delivers the next year’s “Color of the Year” – and we’ve seen it move from Ultraviolet to Emerald and everything in between. While their Color of the Year usually impacts the wedding industry, a lot of other things influence design. We like to look at next season’s fashion trends, interior decor and architecture. 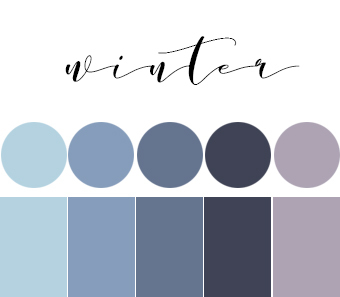 With a bit of research we have found the perfect color trends of 2019 by season for your big day. We hope these palettes will inspire you and get you one step closer to the most magical day of your life! All of our color layflats are coming from one of our favorite textile companies, Tono & Co! We’ll place product info below each one, and you can shop using their website! It isn’t hard to be inspired when the springtime rolls around. The season is providing you with plenty of inspiration, from the pastel colors of Easter, to the blooming of lively, lush spring flowers. This gives you the perfect guide for wedding color inspiration! So that is exactly where we took our inspiration from. Mixing different hues of wisteria, dusty rose, and throwing in pops of coral to create the perfect palette for your primary spring wedding colors. We suggest using champagne or gold as your secondary color to add that extra sparkle! Photos from Tono & Co.
Summer wedding colors can be drawn from anywhere. You can take inspiration from ocean hues like aqua and turquoise, or you could go with vibrant pops of pinks and yellows. 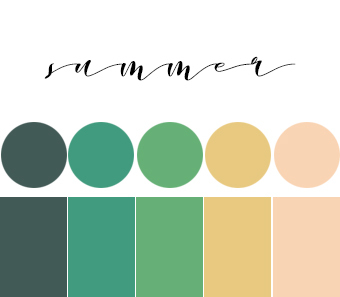 But in 2019, summer is all about the muted, soft tones of turquoise, emerald, and more natural sandy colors such as gold and peach. This color scheme will bring your guests straight to a refreshing garden style. These classic colors are easily versatile whether you choose to have an outdoor beach wedding or a completely modern, glam reception. Don’t be afraid to combine and layer these colors for the perfect mix! The leaves are changing colors, sweater weather is in full effect, and pumpkin-spiced everything is back! This can only mean one thing…it’s fall! 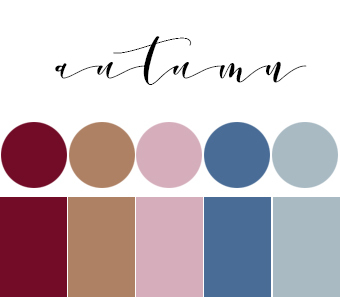 So what will be the perfect color combo for fall in 2019? For this color palette we are sticking to that classic burgundy, camel combo. The delicate hues of Cameo Pink and Aegean Blue help soften the rough edges of those darker tones. This color combo is easily flexible. The burgundy can be used for pops of color or used with the camel for mix-and-match bridesmaid dresses. These colors can easily be incorporated into your flower arrangements as well. It’s all about the cool tones when planning your winter wedding. For 2019 we’re keeping it cool, icy, and blue! Using colors such Periwinkle, navy, and lavender, you’re bound to create the perfect winter wonderland wedding. If you’re more interested in the cool metallics, like silver and gunmetal – the winter palettes will have your back. Since summer and fall tend to lend to warmer tones, we love the vibe of a cool night sky filled with stars. It’s the perfect compliment to a chilly afternoon and romantic evening reception. A key note we’d like to mention is how much your location will influence the seasonal color palette! Florida winters are much warmer than winters in the North, West and the Pacific Northwest! 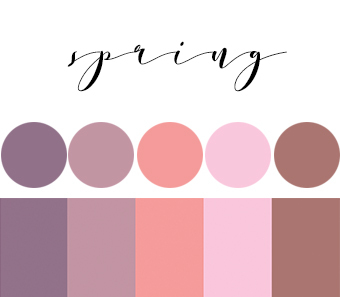 And if you’re getting married in Australia – well then your seasons are completely opposite of the US and you might see some of these color trends happening at different times! 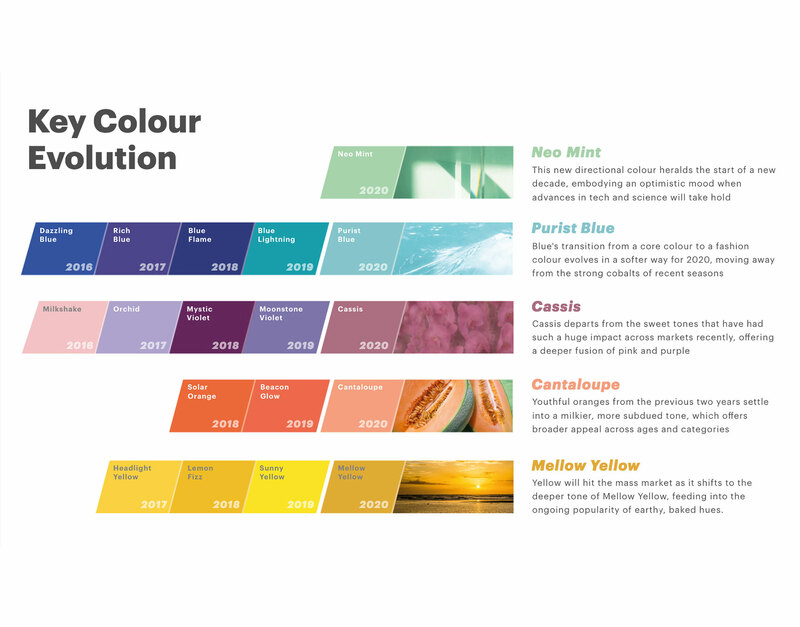 Neo Mint is projected to be the hottest color for 2020, but Purist Blue, Cassis, Cantaloupe and Mellow Yellow all take high honors across the spectrum, according to the WGSN Color Evolution Tracker. We’re absolutely loving these muted tones coming our way, and we’ll likely see a lot of this moving in to the wedding industry as well! One thing we don’t ever want you to forget is that your wedding is uniquely YOU. If you have been dreaming about your perfect wedding day since you were little, and always imagined buttercup yellow for your winter wedding – then go for it! You don’t have to follow any rules that you don’t want to! We’re simply sharing these trends as guidelines for couples who aren’t sure where to start! You never know what will inspire you – from a lipstick shade you love, to a building you saw on vacation. Keep your eyes open for inspiration! 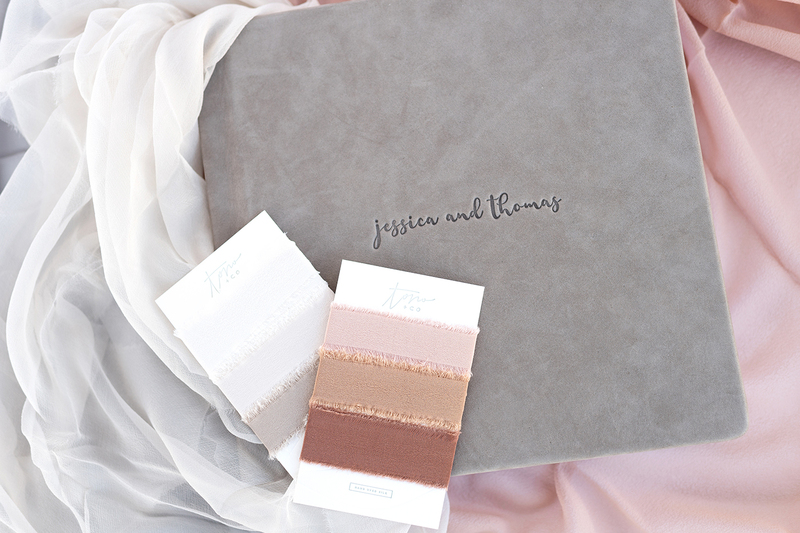 We’re loving Jessica and Thomas‘ album with Gossamer Bone Textile, Peach Textile, Natural Collection Silk Ribbon and Earth Collection Silk Ribbon, shown below.